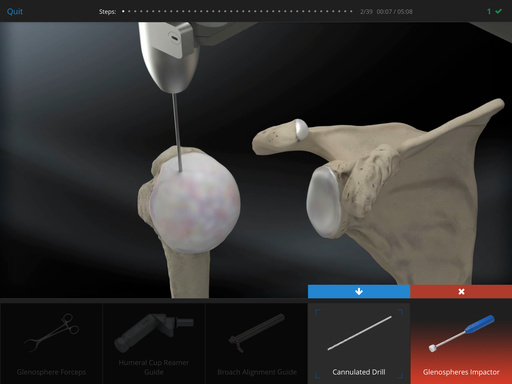 The Arthrex Virtual Surgery™ app provides you 24/7 mobile access to Arthrex’s interactive surgical technique library - online as well as offline. 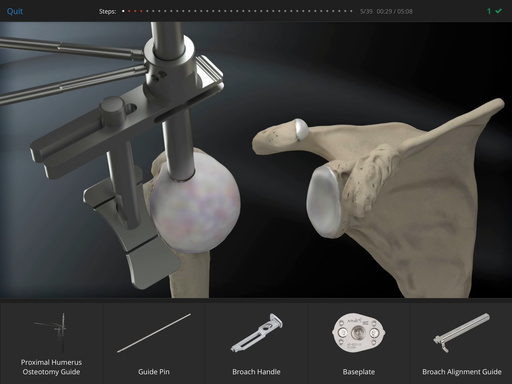 To learn more, view the Arthrex Virtual Surgery app tutorial. 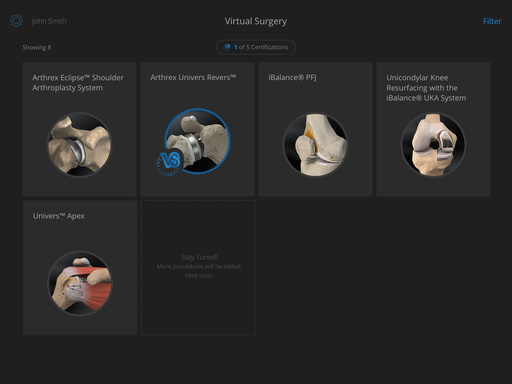 The Arthrex Virtual Surgery™ app is compatible with iPad 2nd Generation or later. The app requires iOS 10.0 or later. Instructions for upgrading your OS can be found here: http://support.apple.com/kb/HT4623. Test-Drive surgical techniques interactively by making step-based decisions. Learn the steps and required instrumentation to perform surgical techniques. Experience the learning benefits of using a participatory learning tool. Understand the sequence in which to use surgical instruments and implants. 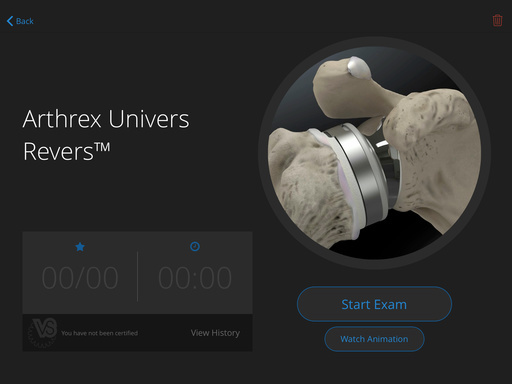 Become “Virtual Surgery Certified” by taking and passing interactive exams. View your exam history to understand your learning progress. Access your personal “History of Completion” and email a copy to yourself or others. View high-quality 3D surgical technique animations prior to taking exams. View animations and take exams online as well as offline.